Studying abroad is an investment for your future. An international academic experience will encourage you for a greater opportunity. So come and join us in our talkshow on studying abroad! Speakers: Lecturer and Students (reguler & international) experienced in exchange and international studies. We will share you the how-to on studying abroad straight from students and lecturers who have experienced it. 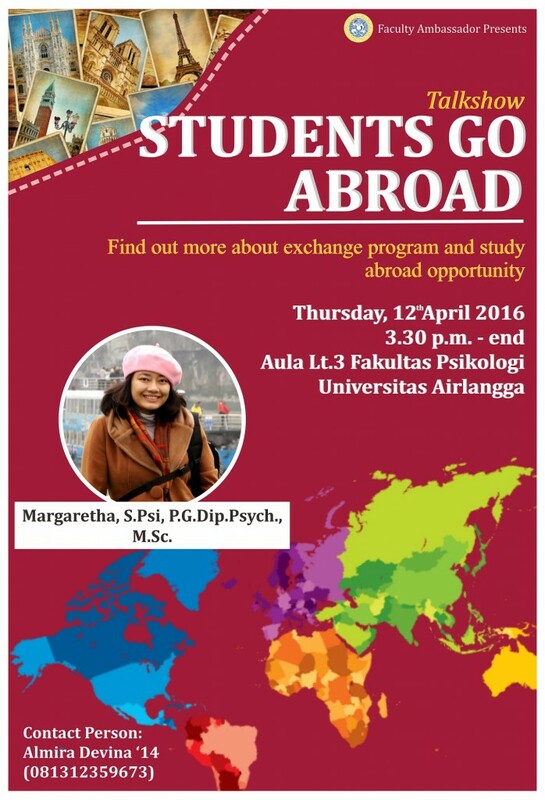 A lot of detailed informations on the opportunity to study abroad will also be given during the talkshow. Mark the date and don’t miss it!